Nagaland Chief Minister TR Zeliang, Manipur’s N Biren Singh and Pema Khandu of Arunachal Pradesh joined the celebrations at the Hornbill Festival and called for co-existence as friendly neighbours. Zeliang said in the presence of two of his counterparts from the northeastern states on the fifth day of the Hornbill festival, “Together we can co-exist as friendly neighbours because peace alone can take us to progress and development of our region.” Assam Chief Minister Sarbananda Sonowal was also supposed to be present but could not make lt because of some other preoccupations. Referring to the tourism circuit of the northeastern states, Zeliang proposed relaying various festivals of the region like the Tawang festival of Arunachal Pradesh which precedes Sangai festival of Manipur, followed by Hornbill Festival of Nagaland, can afford tourists from different parts of the world the opportunity to undertake a North-e ast odyssey at one go and at a much cheaper expense. On the Act East Policy, he said all the northeastern states can now look forward to a much faster pace of progress in various fronts. “Our geographical isolation may also soon become a thing of past as our region would rapidly emerge as the gateway between the ASEAN countries and mainland India,” he added. On the other hand, Manipur Chief Minister Biren Singh said there is so much that connects all the states of the region and its people. “Based on our shared history and close cultural affinities, we must build the foundations upon which the people and institutions of our states can collaborate and cooperate with a strong sense of common purpose,” he said. Singh added that for the region in general, synergetic and coordinated vision and relationships will be critical in realizing the benefits of Act East Policy of India. 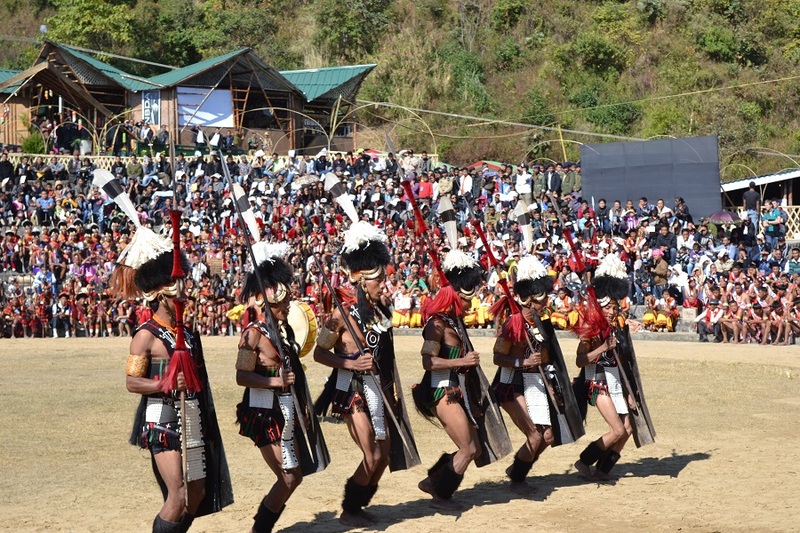 Speaking to the huge gathering Arunachal Pradesh Chief Minister Pema Khandu said, “Through this Hornbill festival, it has not only giving exposure to Nagaland but it is giving exposure to the entire North East India”. He also said the northeastern states have huge potential and tremendous talent which needs to be tapped and exposed to other parts of the world.